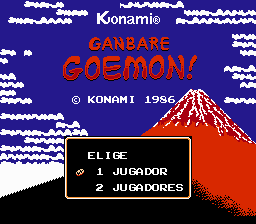 Spanish localization for the first Famicom Ganbare Goemon game, only things left to translate are the “Province” word in the map screen, title and the final score screens. 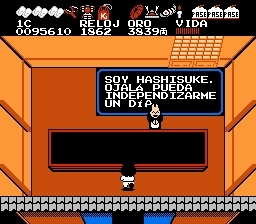 The game, endings and several in-game graphics have been fully localized. 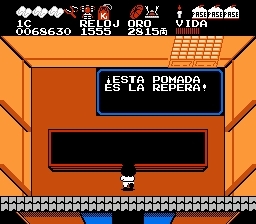 As usual, Spanish punctuation symbols and tilde were added. 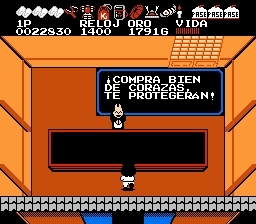 This translation is based on Spinner 8 and friends‘ previous great localization work.